Jamie Whincup will pilot a Scott Taylor Motorsport Mercedes in next year’s Liqui-Moly Bathurst 12 Hour. The seven-time Supercars champion will head up a Pro-Am entry for the February 2-4 endurance classic alongside US-based Australian Kenny Habul and former IndyCar driver Tristan Vautier. Taylor’s second Mercedes-AMG GT3 will be run under the banner of Habul’s SunEnergy1 Racing moniker used in the IMSA WeatherTech Sportscar Championship for the latter’s own Mercedes-AMG GT3, which he regularly shares with Vautier. Next year’s race will be Whincup’s second Bathurst 12 Hour attempt having won this year’s race driving a Maranello Motorsport Ferrari 488 GT3, when he partnered with Triple Eight Supercars team-mate Craig Lowndes and Finn Toni Vilander. It will be the first time Whincup has driven a Mercedes-AMG GT3 with the 34-year-old expected to test the car prior to the event. “I do have a deal,” Whincup confirmed in his upcoming Up Front With Foges interview. “Scotty Taylor Motorsport is running a car for Kenny Habul. He does a lot of GT racing around the world and we’re going to run an AMG. “It would have been nice to drive the Ferrari again but Ferrari won’t be entered (next) year; they couldn’t get a budget together. Team owner Scott Taylor believes the entry will prove to be a strong contender in the Pro-Am class. 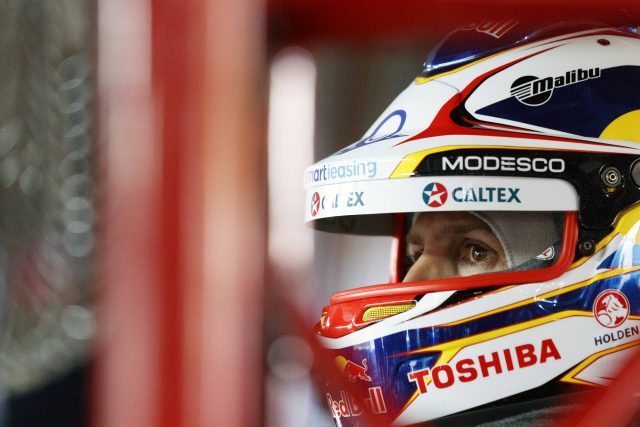 “We are ecstatic to have Jamie Whincup in the car, he won this year and he cemented the championship in Supercars, so you can’t get anyone more capable than him,” Taylor told Speedcafe.com. “There is some pretty strong competition out there but the key to the 12 Hour is being there for the first 11 hours, and then you are in a position to challenge. Scott Taylor Motorsport will field another Pro-Am Mercedes-AMG GT3 entry for former Supercars full-timers Tony D’Alberto, Craig Baird and Australian GT racer Max Twigg. Organisers confirmed a 60 car entry list for the 2018 Bathurst 12 Hour.